Help save energy without slowing down. 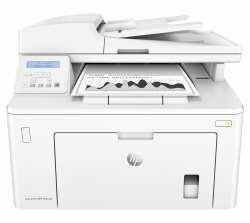 This quiet, efficient HP LaserJet Pro MFP quickly prints, scans, and copies while helping to keep energy costs low, so you save time and resources. Mobile printing is easier than ever with HP. Print with minimal steps from a broad range of mobile devices smartphones, tablets, and notebooks. Easily manage devices and settings to help make printing more efficient and secure. Count on consistent results Original HP Toner cartridges with JetIntelligence are designed to work flawlessly with this HP LaserJet Pro.